Large Dog Bowl Stand, Raised Dog Bowl Feeder, Dog Stand, Rustic Dog Feeder, Farmhouse Style, Rustic Chic, 2 Stainless Steel Bowls, Elevated Dog Stand, Dog Food , Water Bowl [Measures] 20 x 10 x 10. This dog bowl stands has two bowls for food and water. The Raised dog feeder can be ordered to be 8, 10 or 12 inches tall. This elevated dog feeder helps to promote better posture for your dog while eating or drinking. The reduced stress and strain makes for a more comfortable and happier pet. The 2 stainless steel bowls are 48 ounces each and are included with the elevated food stand. They fit snuggly in the openings and can be easily removed to clean. (dish washer safe). 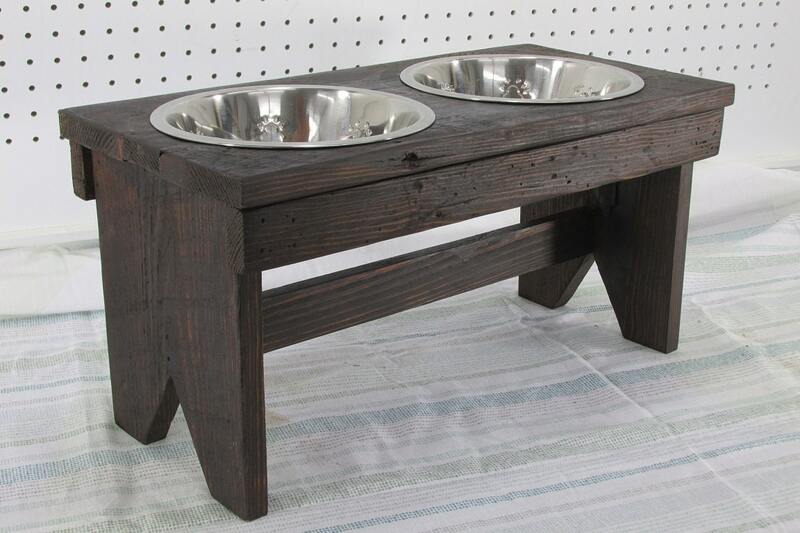 The raised dog bowl feeder is made from solid reclaimed wood for a sturdy but yet with a stylish rustic farmhouse accent. The dog bowl stand in this add has a red mahogany stain and satin lacquer finish. During checkout you can choose from six colors from the drop down menu. You can also pick the height of the dog bowl feeder from a secondary drop down menu. The height of the dog feeder is available from 8, 10 or 12 inches tall. The dog bowl stand comes in 8, 10 and 12 inches. The stand is 20 x 10 x ?. The Dog Bowl Feeder measures 20x 10 x 10. 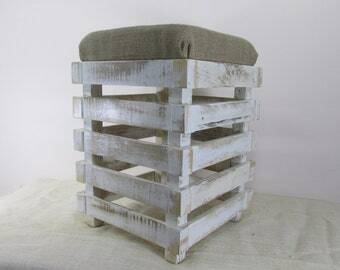 The item pictured is 8 inches tall. The height of the dog feeder is available from 8,10 or 12 inches tall.